staff are just as particular with detail as he is. 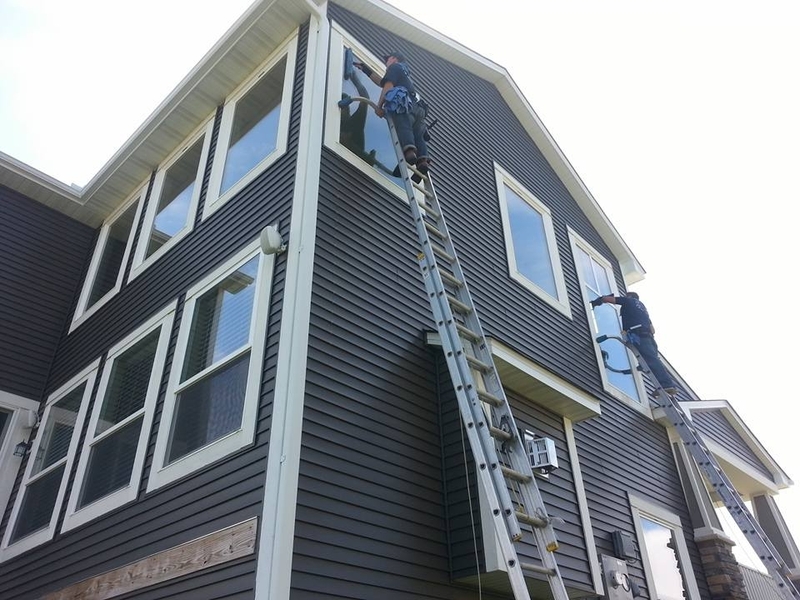 We are equipped to handle the very most basic window cleaning, and the most complicated homes and buildings with the highest windows 40' off the ground. We are a high end, high quality, affordable window cleaning company. Fully licensed, insured, and bonded for your protection. We can add the piece of mind that your dirty gutters won't lead to a wet basement. This is a pretty common problem that a lot of people neglect. We hand pick the debris from your gutters placing it in bags, never leaving a mess in your yard. We then flush out your gutters with water making sure they flow like brand new.